We signed a memorandum of understanding (MoU) with the University of Mysore earlier this year in January to re-release the first six volumes of their Kannada encyclopaedia under Creative Commons (CC) license. CIS-A2K facilitated extracting the legacy text from the soft-copies, converting them to Unicode, distributing the files among volunteers and Christ University interns and uploading them to Kannada Wikisource. So far about 1200 articles have been added. 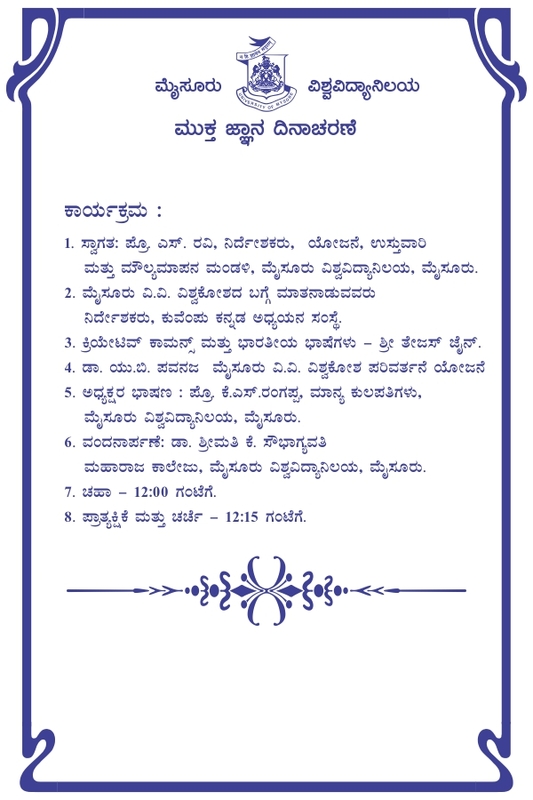 These articles will feed to articles in Kannada Wikipedia. 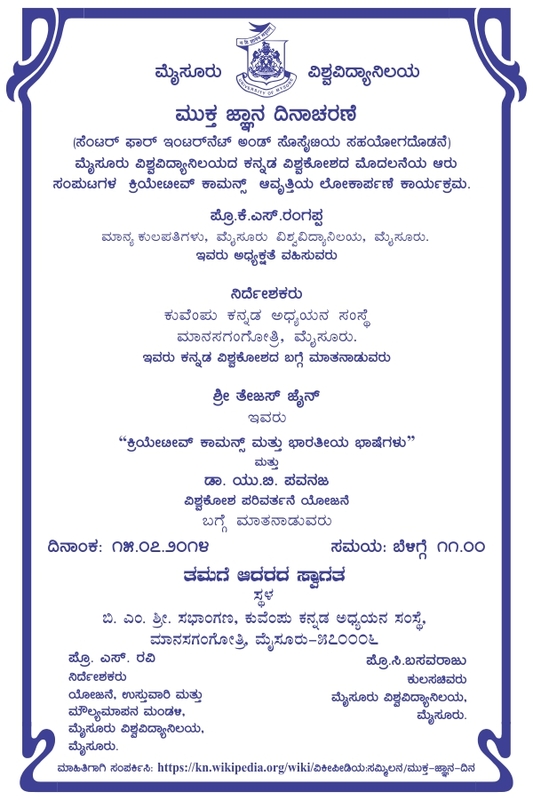 To commemorate this, the University of Mysore and CIS-A2K is organizing this event. This will also coincide with the Open Knowledge Festival happening at Berlin from July 15 to 17, 2014.